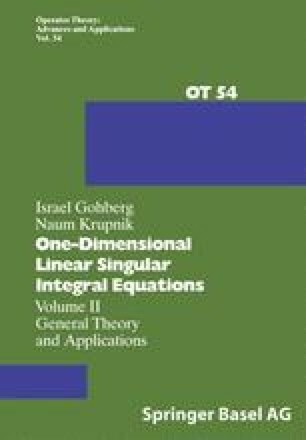 In the present chapter we study singular integral operators the coefficients of which possess finitely (or countably) many points of discontinuity where all these discontinuities are assumed to be of the first kind. The curves are throughout assumed to be without intersections. The consideration of general composed curves will be postponed until the next chapter.